With his first term halfway over, President Trump has built a reputation as someone who is willing to stop progress if he doesn’t get his way. Many government operations currently are shut down amid a standoff over his request for $5 billion for a border wall, and he has threatened to close our southern ports of entry completely if the wall isn’t built. Despite the tough talk, however, the president recently signed a new law that not only addresses security issues, but seeks to make the screening process for people and goods faster and more efficient. U.S. Sens. John Cornyn, R-Texas, and Gary Peters, D-Mich., co-authored the U.S. Ports of Entry Threat and Operational Review Act, which Trump signed late last year. It calls on the Department of Homeland Security to prepare a threat and operational analysis of our ports of entry to identify vulnerabilities to security threats or illegal entry into this country; possible improvements that might prevent illegal entry of people, drugs and other contraband; and possible improvements to food inspections at secondary inspection stations. But it also seeks to identify possible improvements that would enhance travel and trade and reduce wait times at border crossings. The new law seeks improvements in infrastructure, technology and staffing, such as an analysis of duties performed at the crossings that could be performed by people who are not trained law enforcement personnel, to free those people up for other duties and save taxpayers money. Sen. Cornyn has long championed border improvements that benefit the international trade that adds so much to our economy, especially in border areas such as the Rio Grande Valley. 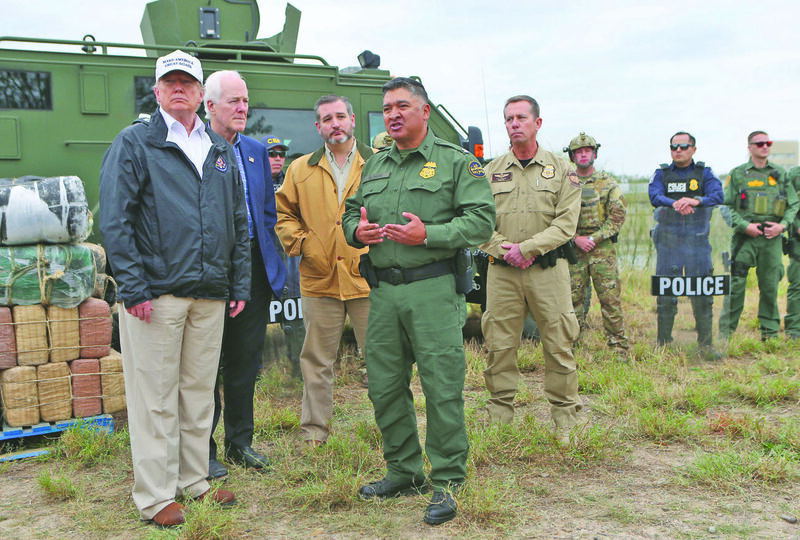 “Trade and travel through Texas’ many ports of entry spur our state’s economy, connect cross-border communities and provide jobs for millions of Texans, so it’s important we ensure ports have the resources and information they need to run efficiently and safely,” Cornyn said in a statement announcing Trump’s signature. Sam Vale, president of the Starr-Camargo Bridge Co. and chairman of the BTA’s Public Policy Committee, noted that “our economy is so connected to our cross-border relationship with Mexico that we must be extremely cautious how we address this challenge (of border security). “(A) significant investment in our ports of entry for personnel, technology upgrades and improved infrastructure would both help the U.S. economy and significantly aid our efforts to interdict traffickers, smugglers and others who would seek to do harm,” Vale continued. It’s encouraging to see that even as he talks about shutting down the border, the president signed provisions that promote cross-border trade. It raises hopes that the hard-ball rhetoric hasn’t completely overshadowed the need to continue pursuing measures that will keep our economy working and Americans working.